Wow! Feature rich former model built to impress! Oversized, super functional open living concept. Kitchen boasts generous work space, upgraded cabinetry, hardware, crown molding, undermount lighting, & large pantry. White-washed floor-to-ceiling brick in study & kitchen make for stylish first impression. Well designed study is elegant, cozy, & highly functional. Master retreat is truly impressive w/ tray ceilings, custom texture, gorgeous floor to ceiling walk-in shower, space saver closet, & super smart hidden laundry. No expense spared including custom tile work throughout, elegant lighting, faucets, counter tops, wide plank flooring, closed loop upgraded carpet and pad. 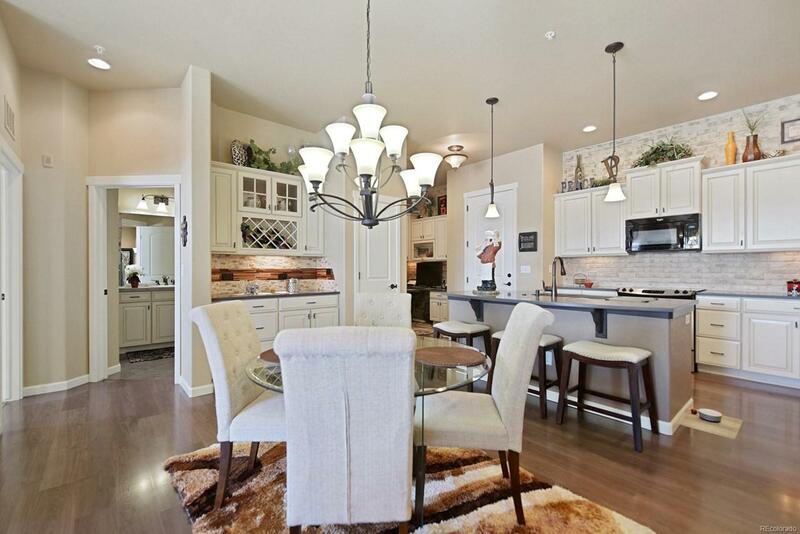 Penthouse unit has soaring ceilings and southern exposure providing warm environment full of excellent natural light. Pergola covered deck yields tranquil mountain views and is plumbed for your gas grill. Massive trail system. Huge 2.5 car garage w/ dedicated entry & extra storage. Elevator access. Buyer verify all.